Looking back, this year has been choc full of sneaker releases, we’ve seen good, we’ve seen bad, we’ve seen Jeremy Scott (this is writer’s choice after all, doesn’t necessarily reflect the views and opinions of the site). 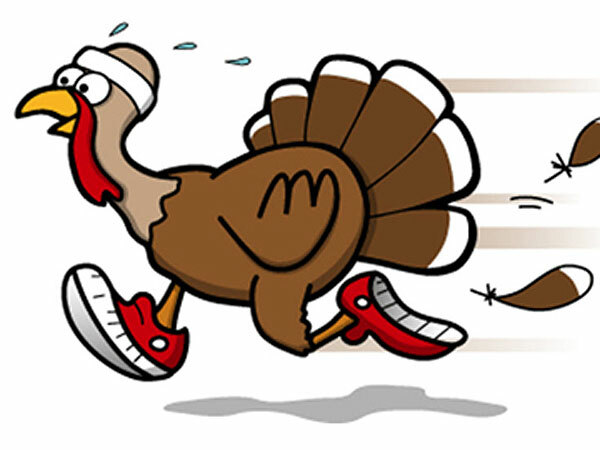 Many great kicks have come out, far too many to throw on a list, so here we’ll just give you a sampling of what I’m thankful for this Thanksgiving, 2013 (in no particular order). 1. 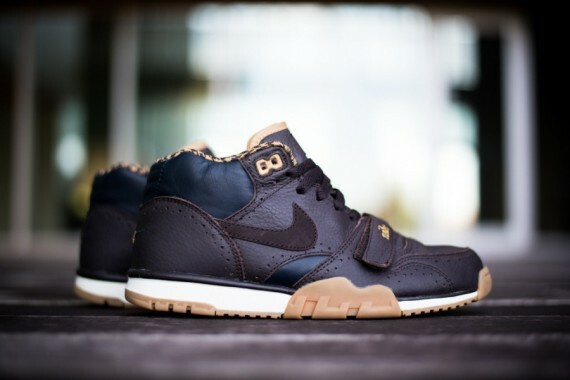 Nike Air Trainer 1 “Brogue”: The Air Trainer 1 is one of the most slept on silhouettes in the Nike arsenal, and though we saw some intriguing releases this year, these are truly something else. From the distinct lettering to the houndstooth lining, I am beyond smitten. 2. 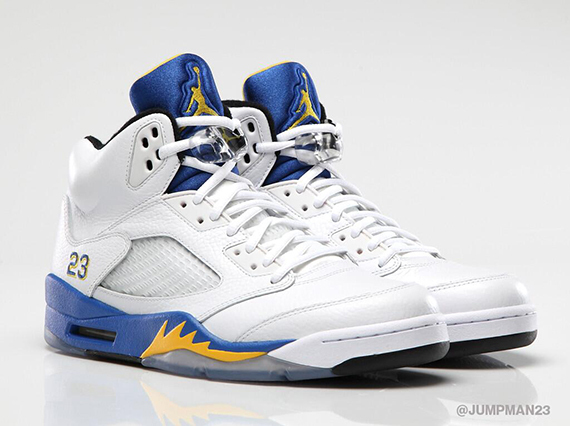 Air Jordan V “Laney”: A year that has seen its fair share of V’s, 2013 gave us a retro blessing in the form of these blue and yellow wonders. Though the Fear’s and the Oreo’s and the Fire Red’s are neat and all, there is something so fresh about this color combo, and for once the icy soles fit in with the colorway as opposed to looking like an accident. 3. 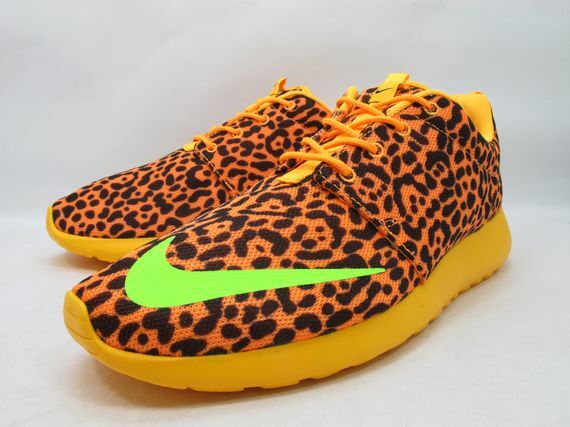 Nike Roshe Run “Leopard”: The level of “over-the-top-ness” emitted from these Roshe’s may be a little much for some, but those mac ‘n cheese soles and unapologetic uppers have me feeling “some type of way”. Not even some Red Octobers will keep you from shining with these bad boys on. 4. New Balance x Bodega “Hypercat”: We have seen (probably) hundreds of collabs this year from the crew at NB, but I’ll never forget the day we got our first glance at these beauties, it was love at first sight. 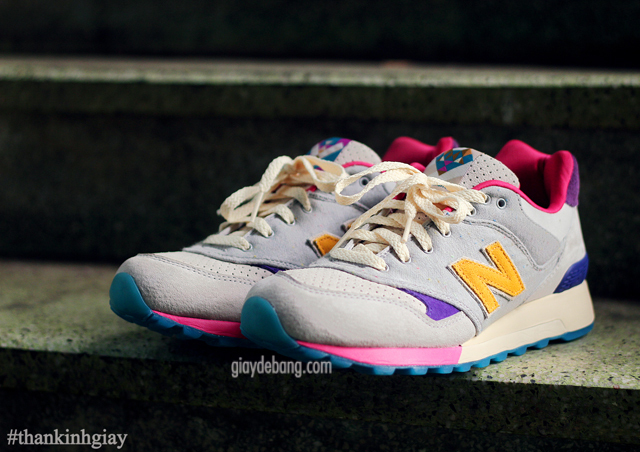 I chose these OG images for a reason, as they have never looked hotter than they do here with the fat, cream laces. All aspects of these kicks are perfect, and for that, I am quite thankful. 5. Nike x size? 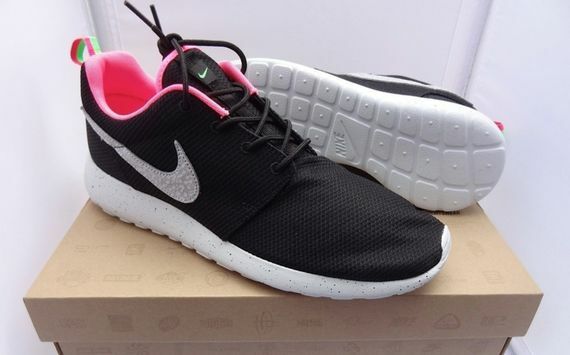 “Urban Safari” Roshe Run: Yes, another pair of Roshe Runs, what can I say? Though the FB Mints came first, the speckled sole and pebble grained/Safari leather accents of these take the Roshe flavored cake for me. It’s always nice to see collaborators push past mere color changes and into fabric swaps, and I’m thankful for size? pushing Nike on these.